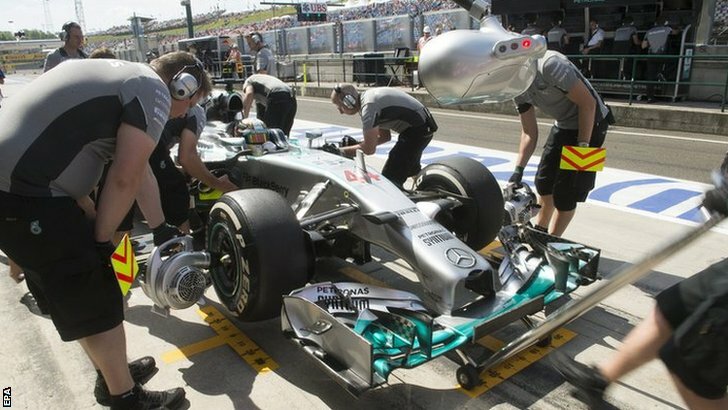 Formula One: Hamilton fastest on Hungarian Friday practice! 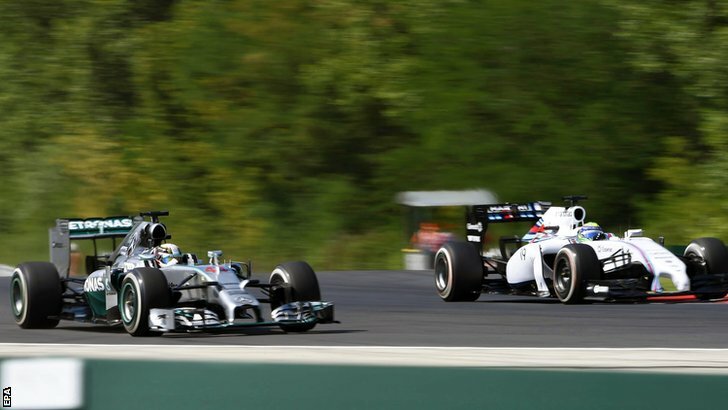 Home » Formula One: Hamilton fastest on Hungarian Friday practice! Lewis Hamilton has topped both Friday practice sessions in the run up to this year’s Hungarian Grand Prix, a circuit that he has won at 4 times. The British driver has won the last two races here and will be hoping to secure a hat-trick as he tries to get back on terms with championship leader Nico Rosberg. The two Mercedes drivers quickly took to their usual 1-2 positions early on in P1. It was Nico Rosberg who was fastest first, with Lewis taking over in the second half of the session after the pair completed their runs on the faster tyre. The pair were separated by just a tenth by the end of the session. Ferrari were once again the best of the rest, but it was Kimi Raikkonen who was noticeably more comfortable at the wheel. The Finn was just 6 tenths off of Hamilton’s fastest time, with team-mate Alonso another half a second back in P4. The two Red Bull’s had also been reasonably fast in the Hungarian heat, with Vettel finishing the session in P5. His team-mate Ricciardo had been up with him before technical problems bought him prematurely back to the garage. He ended the session 8th. Magnussen and Vergne filled the spaces in between the Red Bull’s. Jenson Button put the second McLaren in the top 10, with the McLaren seemingly the most stable under braking. It is thought that McLaren had removed the FRIC system prior to the German Grand Prix, meaning that they had more time to get used to running without it. Lewis Hamilton’s good start to the Hungarian Grand Prix weekend continued when he topped the 2nd practice session in the afternoon. The Briton managed to pull out another tenth of a second over team-mate Rosberg who once again took 2nd place. Sebastian Vettel was the closest man to them this time but was over half a second slower than Lewis. Kevin Magnussen and the Ferrari duo continued to have good pace, with Alonso and Raikkonen sandwiching the McLaren rookie, who finished the session in 5th; just over a second slower than the fastest lap of the session. The two Williams cars seemed to have lost some of the pace they displayed last weekend at Hockenheim. Bottas and Massa were 15th and 10th in FP1 and then ended up 8th and 10th in the second session. Massa suffered a strange spin early on and damaged a set of tyres, meaning that the entire race simulation run had to be altered to compensate. Jenson Button’s McLaren separated them. Formula One: Championship standings after the Italian Grand Prix! Formula One: Imperious Lewis wins Italian GP after Rosberg error! Formula One: Hamilton defeats qualifying demons to take Italian pole! Formula One: Hamilton and Rosberg fastest in Monza practice!